They would make a fine addition to my collection, it has to be said. As long as they were movie accurate, I say bring them on. Didn't you hear? 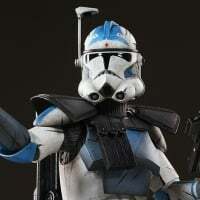 They are actually changing the 327th skins to be more accurate to the troopers in the movie at some point in the coming months, and although the Wolfpack and 91st skins will be a little inaccurate to start with that's because they've submitted the files for the update or something and they can't change it without messing stuff up, but they'll be fixed along with the 327th ones later. Not sure how the updated versions will look, but it's gotta be better than what they are now right? I heard, but that's only the texture's I'm afraid. They'll still be missing their Pauldron's and Kamas. Still looking forward to it, though! 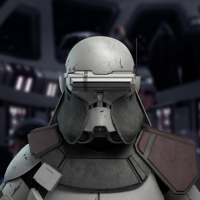 I just really hope they fix the helmet's stripe shape. It's too wide in the current version. 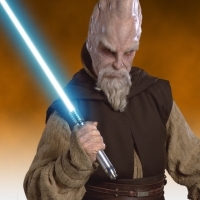 I only want Marines if they bring Ki-Adi-Mundi together and Mygeeto map. Sometimes I just feel like I'm reading a different language. All new content is welcomed content. Back when the game released, someone here was asking for Batman and Spider-Man color patterns on Clones. They thought it would be awesome. 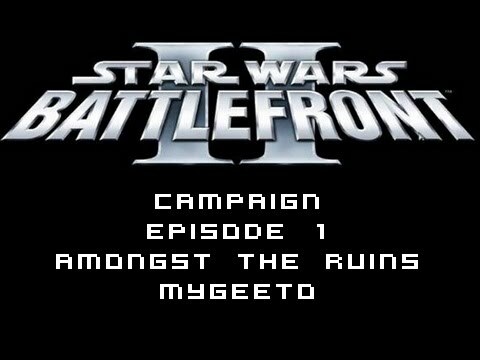 Maybe not ALL new content is welcomed content. Maybe we should have standards. They're changing the purchasable trooper suits? What would they look like compared too right now? I like them as they are, but then again I didn't mind when they changed Leia's default skin. Yeah, that and the 'ooh Fortnite is doing an Infinity War gamemode, Battlefront should do a Marvel crossover event too' thing. 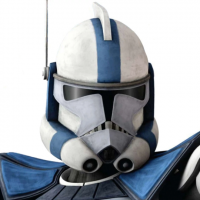 But when it comes to skins which do exist, like the Galactic Marines, I can't see any reason for them not to add them (other than the whole rainbow clones thing, but as that exists and isn't going to be changed we may as well get the cool more or less canon skins). Galactic Marines are cool. Although if they were going to add Galactic Marines as a reinforcement (as per my LS Enforcer post from a few months back, which was recently bumped so is probably on the front two pages) then I wouldn't really want them as skins. How to you access page two on the forums? I keep forgetting to say that I welcome the Galactic Marines. Scroll to the bottom, there's a 'next' button or a bar with page numbers. I can't find it, maybe it doesn't show up on the IPad, I could go to the next page in threads, but not on the main sections. It took me a bit to find this thread, but I checked yesterday, and my hunch was correct, the iPad version is different from the PC version.